According to the provisions in the Budget for 2019, all government servants are to be given a special allowance of Rs. 2,500. Pensions are to be increased. Samurdhi benefits are to be extended to an additional 600,000 families. Existing Samurdhi beneficiaries are to be allowed to withdraw up to Rs. 30,000 in two instalments this year from their accumulated funds in the Samurdhi Banks as spending money for the New Year and Christmas. The newly set up Office of Missing Persons is to pay a monthly allowance of Rs. 6,000 each for the families of all missing persons until the Office of Reparations is established and a larger sum paid. The fact that this is an election year, will naturally lead many people to suspect that all these provisions are election related. The government seeks to justify extending Samurdhi benefits to an additional 600,000 families on the grounds that ‘deserving families’ had been kept out of the scheme for political reasons. It appears that the government suddenly became aware of that alleged long standing injustice only after ruling the country for over four years. The rhetoric of the government makes it obvious that the additional 600,000 Samurdhi recipients will be selected on political criteria for reasons more to do with elections than with poverty alleviation. There is an inherent contradiction in the government claiming on the one hand that poverty has been reduced and then increasing the number of Samurdhi recipients by over 40%. Furthermore, spending money for the New Year and Christmas is being released from the compulsory savings of Samurdhi recipients in 2019 when such a thing never happened in previous years. After releasing Rs. 30,000 in a single year, it is obvious that there will no money to be released in that manner in the coming years. The purpose of having compulsory savings for Samurdhi recipients is to encourage the savings habit and to enable them to utilize that money for self-employment and other livelihood related activities. We have not heard of the compulsory savings of Samurdhi recipients being released as spending money for festivals. Except for this Rs. 30,000 coming out of the compulsory savings of the Samurdhi recipients, all the other measures mentioned above will result in an increase in government expenditure. Through their first Budget in 2015, the yahapalana government gave a special allowance of Rs. 10,000 to all government servants, reduced the price of fuel and gas and certain foodstuffs so as to win the Parliamentary election on August 2015. Thereafter, the taxes collected from the people were increased from Rs. 1,050 billion in 2014 to Rs. 1,355 billion in 2015 – an increase of Rs. 305 billion in a single year. Such an increase would have been spread out over at least three years under my government. As a matter of policy, we kept the year-on-year increase in taxes within the range of Rs. 50 to 100 billion a year so as not to oppress the public. Under my presidency, the economy grew at an average annual rate of 6% from 2006 to 2009 despite a raging war and at 7.4% in the five post war years from 2010 to 2014. No government in post-independence history has achieved an average growth rate of 6% leave alone 7.4%. Because of that growth, the economy was able to absorb the relatively modest annual increases in taxation under my government. In 2019, the government hopes to collect Rs. 2,077 billion as taxes – twice the amount that was collected 2014. All that money is to be wrung out of the public in a context where the annual growth rate has declined to 5% in 2015, 4.5% in 2016, 3.1% in 2017 and it is expected to be around 3% in 2018. The total outstanding government debt increased from Rs.7,391 billion in 2014 to more than Rs. 11,859 billion by the end of 2018 – an increase of 62%. This increase in debt has been incurred for no other purpose than paying for the cost of inducing people to vote for the yahapalana government. These enormous borrowings were not spent on any development work. When government salaries are increased, and various other concessions given, it may give the recipient the feeling that he has got something. But very soon, he finds that whatever is given by this government with one hand is taken away by the other. Due mainly to excessive taxation and currency depreciation, any salary increase given by this government disappears almost immediately. The Rupee depreciated from Rs. 131 to the Dollar at the end of 2014 to reach around Rs.180 under yahapalana rule, driving up the prices of all imports. Under my government, taxes were much lower, and the exchange rate was controlled to prevent increases in the prices of imports. So whatever was given by my government as salary increases actually stayed in the hands of the recipients. The yahapalana finance minister who became popular by increasing government salaries by Rs. 10,000 and reducing the prices of fuel and foodstuffs was forced out of the finance ministry and assigned the foreign ministry within a couple of years after he became unpopular for increasing taxes to pay for those concessions. That gives an indication of the turnaround time between doling out concessions to win votes and having to pay for them under the yahapalana government. Sri Lanka is now caught up in a vicious cycle of increasing government spending for the electioneering needs of the incumbent government, heavy borrowing to finance that expenditure and increased taxation of the public to service those loans. Percy Mahendra the Villain become Mr Innocent. Can you give us a ratio or a comparison between the ‘Tzunami funds, MIG deal, Shangri La, Dubai Marriot…………Udayanga frauds, Air Lanka/Mihin money stolen by your BIL, Siriliya funds and other unimaginable amount of money stolen from the poor tax payers and this governments contribution towards the tax payers? I sincerely think you are better off in a home for the aged with memory loss (dementia). The POT is calling the kettle black. Straw eaters cannot tell the difference. 1) By the time MR authoritarian rule ended up by 2015, there had been numerous losses made to the govt. Not even proper documentations were the available. State treasury had been abused to the core by Rajapakshe family, their siblings and henchmen – this was public secret. People had been made obsequeous, if any disident would have been abducted, assaulted and killed – that were not overlooked by locals and international community. Not regarding war crimes, but RAJAPKSHE administration in the post war episode were seen ” simply brutal”. Self aggrandizement and their tactics abused by their hoodwinkers made it worst to average folks. However, things would have been so better as their media men go on explain yet today, why MR et al to go for PE election two years earlier to the its official termination ? 3) This bugger should recall it how it had been then – I remember one of his high men as a minister Rajiatha Seenaratne was repeating and making then govt as one of the brutal regimes ever to have been in entire asia… he went on saying that their adminstration was restrict to the family and for every tiny issue, Mahinda Rajapakshe involved himself… that why they went on saying ගෝටාබය සරනන් ගච්ඡාමි … මහින්ද සරනන් ගච්ඡාමි – over 52% of budget was parted into 3 brothers with all other minister let be idle/as if they had nothing to do. However, MR led stupid men had wasted the state assets as no other leader did it in entire asia in recent past. Sri lanka is spending hundreds of million to select some out of the the same gangs of professional corrupt. 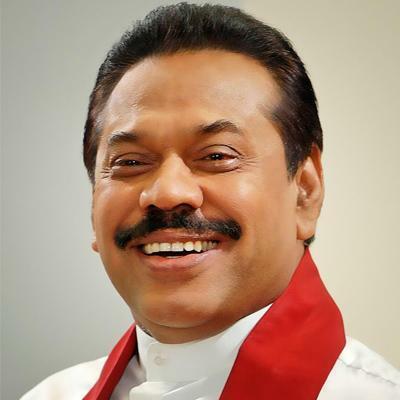 People Expected that what Mahinda Rajapakse did not do would have finished by either MAithripala sirisena and/or Ranil wickeamsinghe. Ranil himself became a FRaudster yet he and his gang are hanging on to the parliament. Maithripala sirisena is also doing the same. People have no choice and the politicians and their paid mouth pieces Media say that is democracy. As a side act, Some politicians are helping and International community is sucking up country’s life blood. Even Mahinda Rajapkse was unaware that we were implementing the Neo-liberal platform. See how Duterte finished off the Drug Lords and Drug distributors. He even ashed the expensive cars of Drug barons. Now, duterte is examining every Fradulent foreign contract that Phillipines has signed. We do not have such politicians. Mahinda Rajapakse only vision is how will I become an executive in the parliament when will my son become an executive. Maithripala sirisena is not far behind.Because of the fradulent Sri lankan politics, voters can not expect anything. Just become Puppets and votes for Professional corrupts. How is Mangala Samaraweera. Now the Gay boy may lose the seat, He has appointed all his brothers and other samaraweeras to the govt. How many Samaraweeras are either politicians or top Buaerucrats. Why the NYT revealed Chinese corruption during 2015 election case not yet filed? Did anybody tipped in LA. How the spy firm so quickly located of his where about? He was not living there. He went there only two or three days ago! Back at home you said you didn’t know where was going. Was that true? Why somebody brought that question? Do they ask questions like that always or they had some smell of what was waiting? Why GLP said summon was served but others denying that? Why Lasantha wrote his eulogy? He blamed the government, anyway. Why Lasantha wrote Martian Niemöller poem as his eulogy? Is Lasantha’s ghost powerful? Is that still hanging around and appears in anybody’s nightmare? Which planet are you living on?. They found Saddam in a hole in the desert. No one can hide from anyone while carrying mobile device. (a phone?). That’s why they are called ‘PI s’. It can be a meaningful question or meaningless question. Further, there can other explanations too, I am not denying. But we need to know those because even to get to hack the PI GPS, somebody need to know his PI #. Hacking cannot be used as a method by a registered spy agency. PI’s GPS actions recorded by telephone company and that can be legally accessed by emergency team and Federal agents(they too many times hack, even without court order). Private agents have no legal access to telephone company data. If Federal agents have provided assistance to the private eyes, then they too are tacking down this guy. But that is unlikely. What makes you think they didn’t?. This man is a psychopath and has fooled the people of the United States band it’s authorities by his inhumane actions. The FEDS have every right to share the information to pin him down. I bet most of the honest, law abiding Sri Lankans in LA & CA are happy with the proceedings. There are few more individuals waiting in line to face the same situation in future. What the Previous Rajapakse govt promised was Locally made solution and to abolish the provincial councils. Modify the 13th amendment. Provincial councils had proliferated Crimes by provincial councillors, corruption, excessive maintenance cost. So, Improve upon the Local councils attaching some of the too many administrative councils. Remove the politicization of Local councils instead select good people from those councils to the PArliament. This man can not read a written speech . Now he talks about BUDGET. Saman – Percy Mahendra Rajafucksha the ignoramus is not the author of this article! The cause for all the ills of the citizens is this rascal and his family. The day when people start hammering them is the day citizens are regarded as sensible. Too true, who will save us from this madness? Our next Prime Minister, with the Executive Presidency Abolished. after all the country is going to the dogs. Mahinda Rajapaksa is yet again exploiting our short memory. Regularly we are exposed to the iceberg that is the PCoI on SriLankan Airlines. How many of us know why MS ordered the PCoI? MR is a genius. He saw the success of SLPP and acquired it. He will play the language/religion card. The healthy sign is “It might not be plain sailing”. I am impressed with your economic reasoning & you have my vote if not for the fact that I distinctly remember the colossal waste of public funds on white elephants, exponential growth of corruption, gross incompetence of the Central Bank on investing in Greek bonds & hedging losses, Chinese debt traps, etc. etc, all which happened in your watch, therefore, you are to be held responsible. By the way, didn’t you spend govt. funds on boosting you image with giant cutouts of yourself & other political propaganda, distributing ‘sil redi’ & roofing sheets from ministerial budgets? Do you think we all have short memories or just stupid? Right no, for the 350 or so local councils, there two levels of administrative councils too. They each get money for development. then over that provincial councils also are there. Different levels of administrative councils and various authorities have problems of developing as the responsibilities overlap. So, those need re arrangement.